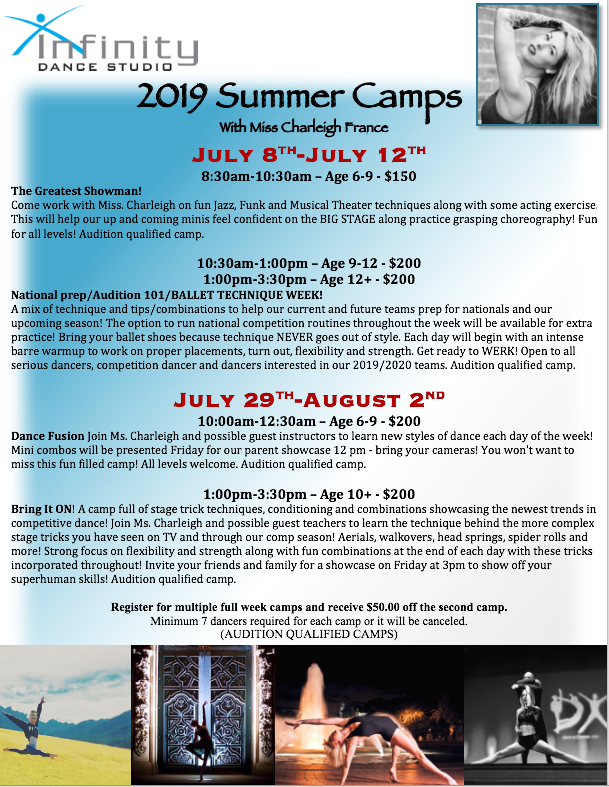 Dance Camps are a great way to keep your dancer active during the summer as well as learning new skills. To register please stop by the studio office. Register for multiple full week camps and receive $50.00 off the second camp.